Social media has become a very visual marketing tool. 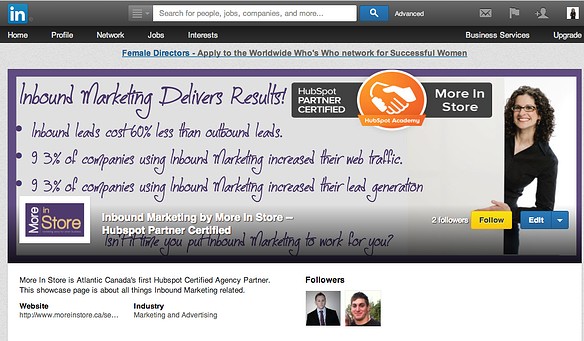 According to Hubspot, 80% of marketers are using visual assets in their social media marketing. This means marketers have to produce graphics that are not only eye-catching and relevant, but also on brand. They also have to ensure these images are optimized for each specific social network. Graphic design can be a time-consuming and overwhelming endeavor, but thankfully online graphic design programs, such as Canva can help designers and non-designers alike easily produce attractive graphics for both web and print media. Canva has a free version that allows marketers to use their simple drag and drop editor as well as create two folders to organize designs, have access to thousands of templates, get 1GB of storage for photos and assets, as well as access to photos starting at $1 each. The free version of Canva is a great starting point for marketers wanting to ensure the tool is right for them. Once you start using Canva, you will quickly find yourself wanting to upgrade to Canva for Work – the paid version of Canva. Starting at $12.95 per month, the paid version of Canva is ideal to not only collaborate with team members, but also to keep your graphics organized either by client or brand. Canva for Work sets a team up for success by offering unlimited folders for designs, so you can separate images for specific campaigns, as well as offering the ability to upload custom fonts for your brand, save logos, set colour palettes and save templates accessible by everyone on a team. This enables everyone on a team to create graphics with a consistent look and feel. One of my favourite features of Canva for Work is the ability to resize designs into set dimensions based on a social network i.e., Instagram, Facebook and Twitter at the click of a button, as well as resize graphics into custom dimensions. 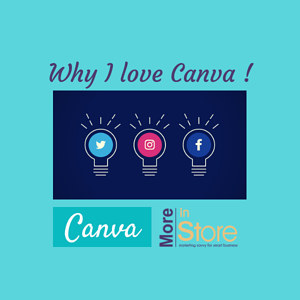 Canva for Work takes the excuses out of not having a well optimized and good looking social profile and marketing! 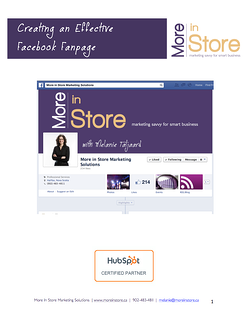 If you are looking to improve your social presence, contact More in Store to review your marketing techniques and to gives you a broad-based analysis. We have set up Canva for Work accounts for several clients, including uploading logos, setting up folders, creating samples, and setting brand colours and fonts. More in Store can provide you with the insight to improve your online marketing to keep your brand at the top of customer opinion and drive forward the sales and engagement you require to ensure continued success in business. 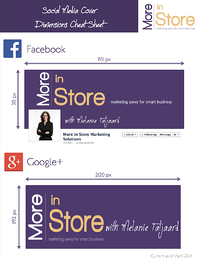 Get started by downloading the More in Store social media sizing cheat sheet today! 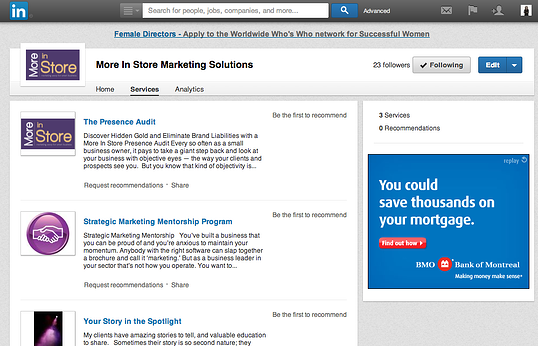 Are you leveraging the online networking opportunities with LinkedIn? In 2012, I blogged about, How to Use LinkedIn to Generate Business Two years on and I still love LinkedIn. 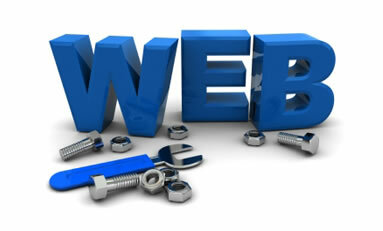 Hands down THE social media platform that generates the most leads and business for More in Store. 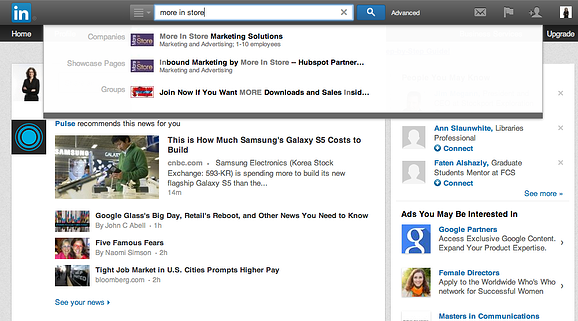 Just like the other social media platforms, LinkedIn continues to adapt and evolve their presentation and features. Most recently, LinkedIn announced that effective on April 14th they will retire the “Products and Services” tab from “Company Pages” and removed from LinkedIn all together. As of April 14th the product and services tab has be deleted, effectively the tab is being replaced by the Showcase Pages. Showcase pages can be tested out now. ‘Showcase Pages’ were built to enable you to highlight a particular brand or product line. ‘Showcase pages’ make it easy to build a dedicated community on LinkedIn and start an ongoing conversation about a particular product or brand. ‘Showcase page’ followers know to expect news about your ‘product or service’ – in fact, they’re looking forward to it! And since Showcase Page updates work just like company updates, they offer all of the benefits detailed above. This is a wonderful feature that we didn’t see with the ‘Company Page’s Service and Products’ tab. With the page being index you have the opportunity to gain exposure with non-followers – name your page wisely using highly searched terms to attract prospects. 2. Once your showcase page is set up, you can choose to post to your Company Page, to the Showcase page or to both. This will ensure the most targeted reach of your updates on LinkedIn. The showcase pages are also more visual than original Company Pages’ Service and Products tab. The full width image allows you 973 x 330 pixel area to showcase your offering. Much like other social platforms you’ll need to layout your text around the logo that LinkedIn adds to the bottom left and the follow button they also insert over the full width image. I can see the value of the Showcase pages and will likely create a few more. Are you putting a LinkedIn Company page to work for you? Not sure where to get started? Make tackling this important tactic easy with my free ebook, LinkedIn Company Pages. And if your personal profile could use a little TLC, I have a free ebook for that too! Download a copy of Creating an Effective LinkedIn Profile. Internet and inbound marketing is a constant battle as it is, trying to make sure current and updated content makes it onto sites, social media and other important venues. Not only does it take time to generate these current materials, but it also takes time to learn the social media tools to take advantage of social media and Internet marketing. The problem is, however, that social media is always evolving and changing. Social media giants like Twitter, Facebook and LinkedIn are constantly changing and improving features on their websites. It makes it exhausting for a marketer to keep up on! Recently, we published a social media cover cheat sheet as a downloadable resource on our website at More In Store. Less than two weeks have gone by, and there has already been a major change in the way that a social media giant is using cover photos. Now, not only did we think we were up to date and on top of the changes, we figured that this download would prove to be resourceful and current for at least more than a couple weeks. Wrong! With these changes, Twitter is anticipating members will have it “…even easier (and, we think, more fun) to express yourself through a new and improved web profile.” People who register on Twitter for a new account will be automatically introduced to the new profile layout, and existing members will slowly begin to see their profiles changed over in the coming weeks. “2014 Social Media Cover Cheat Sheet” resource is now outdated. Worry not, though! We have created an updated version that is ready for you to download immediately. Click the button below to be taken to the updated 2014 Social Media Cover Cheat Sheet download! There you will find cover photo dimensions for Twitter, but also you’ll find dimensions for Facebook, LinkedIn and Google+ too! We hope you enjoy the new changes to Twitter and with help from this document, create great and effective cover photos for your new profile. Want some help? Don’t want to take on this by yourself? Contact us, and we’ll be glad to help you get started with Twitter and their new user profiles. Click below! A successful social media strategy will look different for different businesses. While the top social media tools may be the same, a strategy for a business to business company will be quite different to a consumer marketing company. Some tips to realize social media success are broad reaching and apply to most businesses. There are several social media tools worth considering including the obvious 5: Facebook, Twitter, LinkedIn, YouTube and Pinterest, but be cautious on how much you take on. You are better off to have a strong and effective presence in a few social media platforms than to be spread too thin in many social platforms. Perhaps, the only thing worse than not having a social media presence, is to have a dated profile that no one is monitoring and customer comments are left unattended. Start with the basics and add other tools only once you are comfortable with your existing profiles. 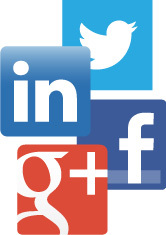 Are the social media platforms that you are using the right ones for your target audience? Ask customers what tools they use and what they look for from business on the various social media platforms. Use your web analytics (Google Analytics or other tools) to determine which social platforms drive the most traffic to your site. I worked with a client who was about to abort his Facebook Strategy—but Google Analytics revealed that Facebook was the second biggest driver of traffic to the company site. Chances are you have concrete information on whether Facebook, Twitter or LinkedIn is sending you any valuable web traffic. Once you’ve selected the social media platforms that are a right fit for your audience, dig deep into that tool. If Facebook is on your list, use Facebook Insights to get a better understanding of how your fans use your facebook page. Facebook Insights provides demographic information, click through information and much more. You’ll be able to see which posts had the most impact on your audience. Have you tried different types of posts – questions, images, videos, promotional information, and educational information? Use Facebook Insights to see which post type (and time) generates the most click throughs. What about Twitter? Whether you’ve been there for a while or just jumping in, chances are you could use a tune up. Do you promote events on Twitter, how many times a day is best for your audience? Before your next post, perhaps it’s time to take a step back and review your social media strategy and tactics. 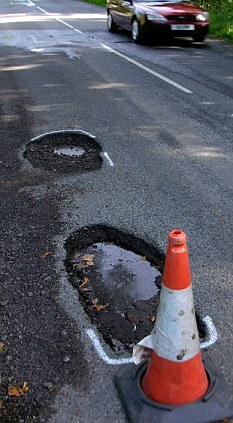 Perhaps it’s time for a tune up. Download this free guide to The Social Media Tune-Up: 3 Steps Process to Effective Social Media Accounts. Looking for inspiration in all the wrong places? If you’re a blogger, you likely know the value of blogging. HubSpot research indicates companies that blog generate 55% more visitors, 97% more inbound links, and 434% more indexed pages than companies that don’t blog. Yet if you’re a blogger (or considering getting into blogging), you likely know that sometimes its isn’t so easy to come up with content. I find it helpful to keep a list of future topics (Evernote is so helpful for this), I also tend to write several entries at once. The process of writing a blog entry almost always fuels future topics, and quite often one topic is best addressed with a series of shorter entries. Last week I topped up my list of future ideas by addressing a group of entrepreneurs at our local business association. I spoke about Social Media MUSTS for entrepreneurs. I always leave time for questions at the end of a session – I love to know what people are wondering or where they get stuck. The questions provided a plethora of future blog ideas. Each of the questions asked at this session will make a great blog entry. 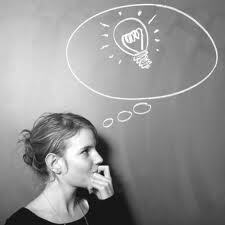 Chances are if one entrepreneur has a question, it has crossed the mind of others. Do you pay attention to the questions that are being asked by prospects and new clients? Should we outsource our social media efforts or keep them in house? If you have a limited budget and resources and you can only focus on your website OR social media, which is more important? What is the difference between reach and influence? I’ll answer these questions in upcoming blog posts, in the meantime; feel free to download a copy of the presentation Social Media MUSTS for entrepreneurs. Whether your just about to jump into social media or been at it for a while, this top ten list is full or resources and things to think about for social media campaign. And if you have a social media question you’d like to answer here, please send it along. Have you heard the term MFCs before? MFCs are extremely important to your business. What about the term Raving Fans, perhaps you’ve read the book Raving Fans: A Revolutionary Approach to Customer Service: by Blanchard, Bowles, and Mackay. The authors explain how to leverage the passion of your highly satisfied customers to attract other like mind customers. Raving Fans was written long before the advent of Social Media, but we know the power of passionate customers is just as important today as it was pre-internet. MFCs are really your raving fans online. The acronym stands for Most Frequent Contributor. You may well be aware that in the social space most people are just listening and a very small percentage actually contribute to blogs, and social networks. Statistically the research shows why about 90% of people are passively taking in content, never commenting, and about 10% are contributors with an even smaller percentage being regular contributors. This statistic is key -- often people start down the social media path and feel that the aren't seeing enough engagment, so they stop. But keep in mind, even if people aren't commenting, your posts still have impact. Use Facebook's Insight tool or other social media monitoring tools to evaluate the impact of your efforts. You'll be able to see how many people 'see' and 'share' comments not just how many repond. But back to those who do comment and respond. If you can identify your MFC’s in your social media presence you can further leverage the value of their willingness to contribute and share. If a fan on Facebook always comments or posts your comments – use this to your advantage. Always thank those contributors/ commentators and acknowledge these important influencers. Consider sending them samples or offers. Reward comments and contributors with positive feedback, special offers and other ways of saying thank you. Spend time studying these customers. Who are these customers – what do they like, which comments do they respond to etc.? When you look at your social media efforts are there people missing, customers who you know personally in store or in office and you don’t see on your Facebook Fanpage, or on your Twitter Followers. Next time they are in, ask them why? Are they not fans of social media, or have they just not looked you up in the social space? As you look to grow your social presence consider how you can leverage the value of MFCs – remember birds of a feather tend to flock together. Consider how you can connect with your MFCs friends and contacts. If you’ve written social media goals, where do MFC's fit into your social strategy? If you haven't written social media goals, this blog post is for you A guide to social meida goal writing. Do your social media efforts support well thought out social media goals? It is tempting with social media to jump in and go without spending time developing a plan, strategy, and SMART goals to realize that plan. Without clear goals it is too easy to spend ineffective time on social media. Ready to write social media goals, but don’t know where to start, download this thought starter.